In case you missed it, earlier last week I showed off some fall finds from Tobi. Check out that post here. But Tobi also has some great work pieces. Once I saw this neon pink "Bright Lights Draped Skirt", I knew I had to have it. I loved the asymmetrical detail. It's business-y enough, but still let's you be fashionable and show off your style. Plus take off the blazer and your ready for the after work happy hour or night out. 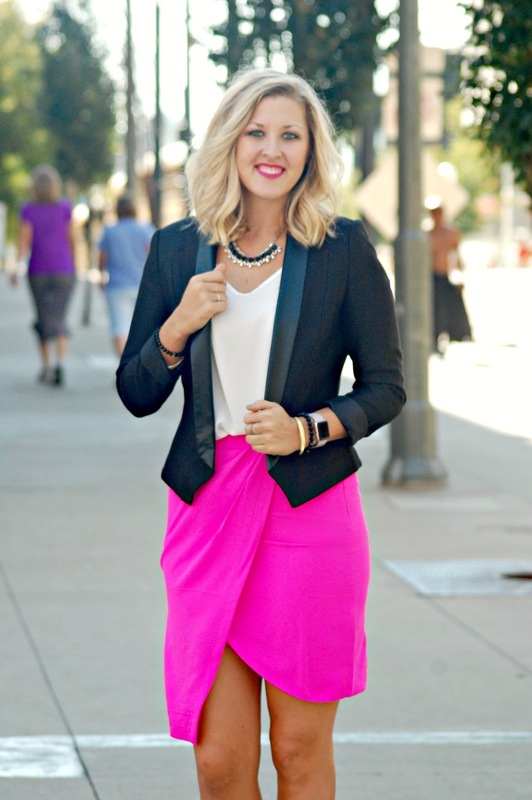 Ahh obsessed with this hot pink skirt!